GOLD AND 4 SILVER: Keira McGregor. 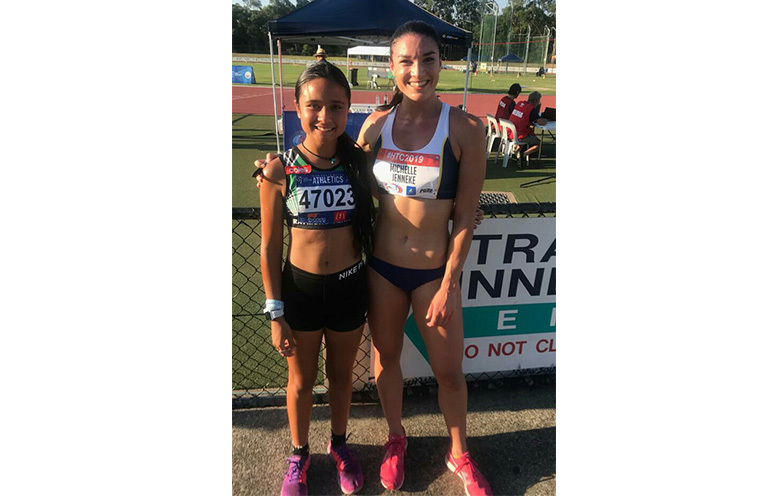 WHILE most of us have been trying to keep cool over the past couple of weeks, young Hawks Nest Athlete Keira McGregor was burning up the track at the New South Wales Country Athletics Championships at Glendale near Newcastle. And again the 12 year old came home with a chest full of medals. A second day of competition saw Keira compete in the long jump and 200 metres getting a second in both. “Heat was the major problem with 44 degrees and after the long jump the competition was called off for an hour to see if the temperature dropped which it didn’t,” John said. Day Three and another second for Keira in the triple jump. 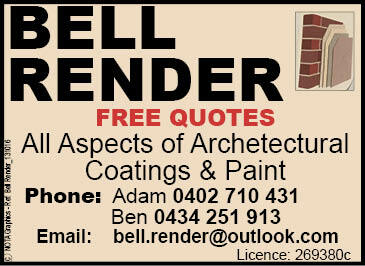 “The jumps are becoming specialised events and you need not just speed but new techniques as well,” John said. “Running against much older athletes, they excelled and Keira ran the final leg and came 2nd. again an amazing 100m run by her,” proud Dad said. 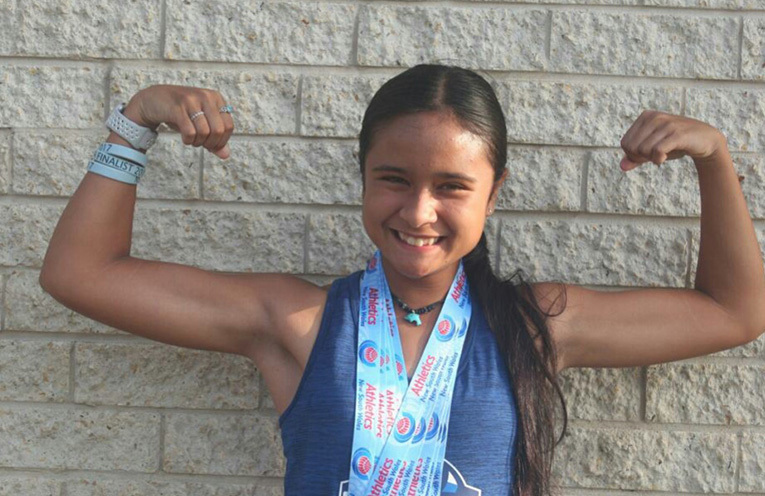 There’s no rest for the Medowie High Schooler, she’s off to the Little Athletes Regionals this weekend and later in the month the NSW Junior Championships at Olympic Park in Sydney. COUNTRY ATHLETICS CHAMPIONSHIPS: Keira McGregor with Olympian Michelle Jenneke.